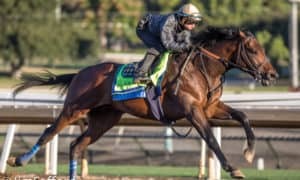 HALLANDALE BEACH, FL – Mr. and Mrs. William K. Warren Jr.’s City of Light settled in nicely at Gulfstream Park Thursday on the morning after shipping cross country for a scheduled start in the Grade 1, $9 million Pegasus World Cup Invitational on January 26th. “He got here in good order; he traveled in good order. This is his fourth ship in a year. He’s got this down pat. 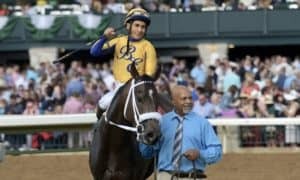 He doesn’t need to take his racetrack, his environment with him,” said trainer Michael McCarthy, whose multiple Grade 1-stakes winner stretched his legs over the Gulfstream track before returning to his stall in Barn 16. “He seemed like he enjoyed it out there today.” See XBTV video of City of Light arriving. 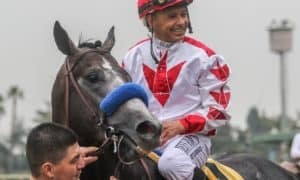 The Pegasus World Cup, the richest race in North America, provides City of Light one last opportunity to add another Grade 1 stakes victory to his resume and millions of dollars to his bankroll before retiring to stud. “He goes to Lane’s End right after this – right after this. It’s a little bittersweet, but he deserves it,” McCarthy said. 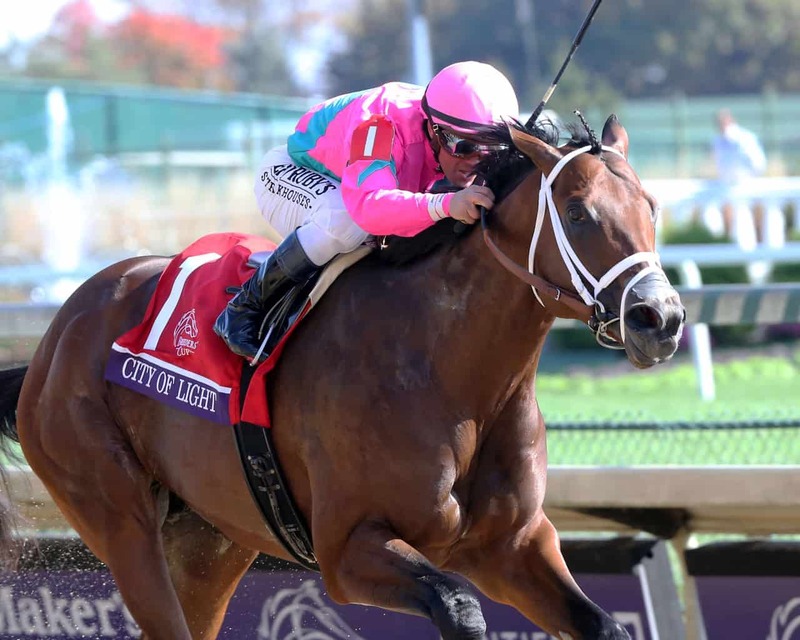 City of Light will make his last career start and his first start since concluding his 2018 campaign with a sensational 2 ¾-length score in front-running fashion in the Grade 1, $1 million Breeder’s Cup Dirt Mile at Churchill Downs. 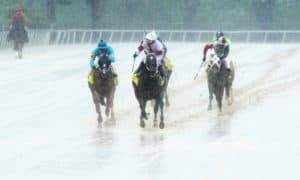 “On the calendar year, it’s nice that for some of these horses, it gives them one more chance to go ahead and show the fans,” McCarthy said. 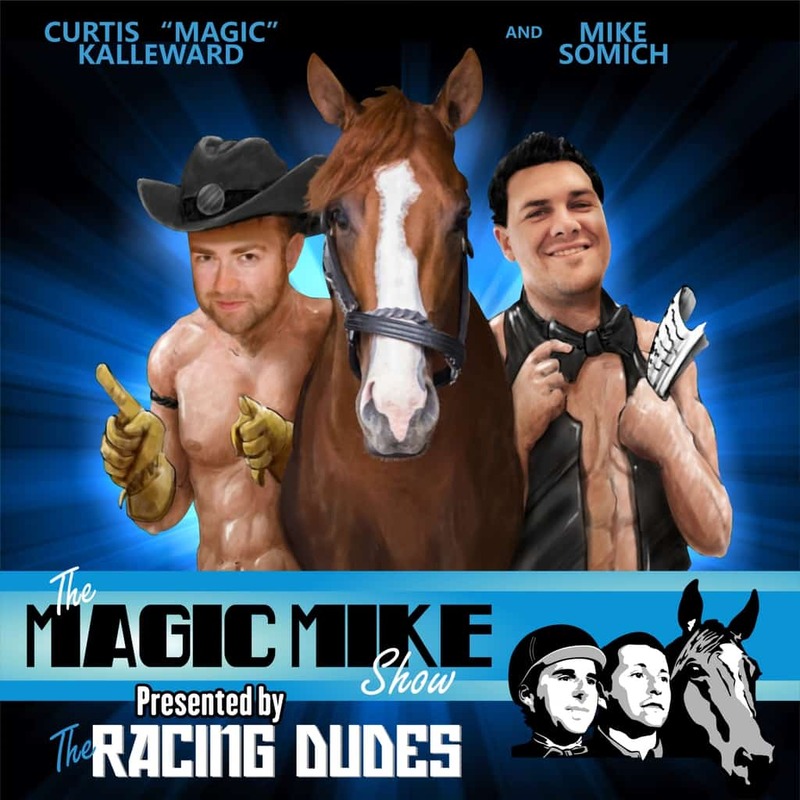 With a whopping $9 million purse at stake. McCarthy is planning to give the 5-year-old son of Quality Road one final tune-up for the Pegasus. City of Light debuted with a second-place finish at Los Alamitos July 6, 2017 before graduating in his next start at Del Mar. 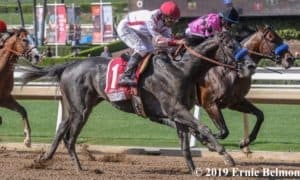 He finished second in back-to-back optional claiming allowances at Santa Anita and Del Mar before stepping up to capture the Grade 1 Malibu at Santa Anita to conclude his 3-year-old campaign. 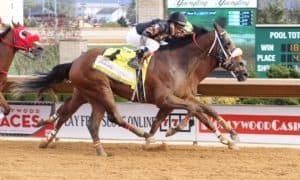 City of Light followed up his Malibu win with triumphs in the seven-furlong Grade 1 Triple Bend at Santa Anita and the 1 1/8-mile Grade 2 Oaklawn Park Handicap. 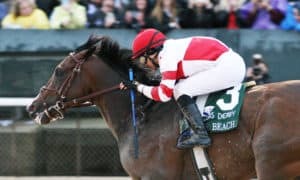 He tasted defeat in his next two starts, a third-place finish in the 1 ¼-mile Santa Anita Gold Cup (G1) and a second in the seven-furlong Forego (G1) at Saratoga, before making a big splash in the Breeders’ Cup Dirt Mile. 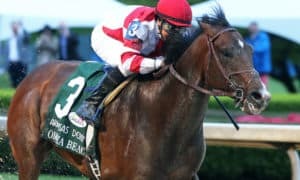 City of Light is on course to clash with Horse of the Year finalist Accelerate for a third time in the Pegasus World Cup. “We’ve met twice. 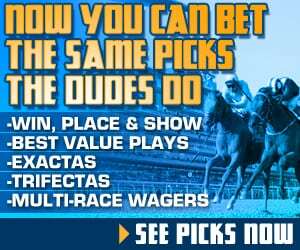 It’s a tie ballgame so far,” said McCarthy, whose trainee defeated Accelerate by a neck in the Oaklawn Park Handicap before finishing third, beaten by 5 ½ lengths, behind the Breeders’ Cup Classic (G1) winner in the Santa Anita Gold Cup.